Rombouts, J.A. ; Veenboer, R.M.P. ; Villellas, C.; Lu, P.; Ehlers, A.W. ; Andries, K.; Koul, A.; Lill, H.; Ruijter, E.; Orru, R.V.A. 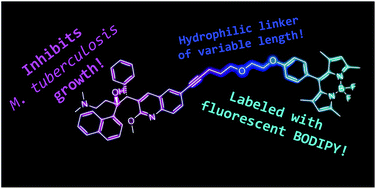 ; Lammertsma, K.; Bald, B.; Slootweg, J.C. “Synthesis, Characterization and Biological Activity of Fluorescently Labeled Bedaquiline Analogues“, RSC Adv. 2016, 6, 108708-108716.
de Souza I.O. ; Schrekker C.M. ; Lopes W.; Orru R.V.A. ; Hranjec M.; Perin N.; Machado M.; Oliveira L.F.; Donato R.K.; Stefani V.; Fuentefria A.M.; Schrekker H.S. “Bifunctional Fluorescent Benzimidazo[1,2-α]quinolines for Candida spp. 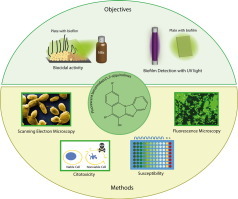 Biofilm Detection and Biocidal Activity“, J. Photochem. Photobiol. B. 2016, 163, 319-326. Saya, J.M. ; Oppelaar, B.; Cioc, R.C., van der Heijden, G.; Vandevelde, C.M.L. ; Orru, R.V.A. 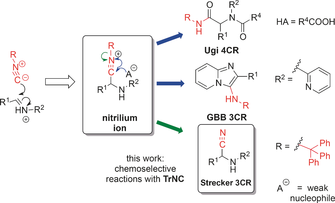 ; Ruijter, E. “Synthesis of Polycyclic Spiroindolines by Highly Diastereoselective Interrupted Ugi Cascade Reactions of 3-(2-Isocyanoethyl)indoles”, Chem. Commun. 2016, 52, 12482-12485. Zhu, Y.P. ; Sergeyev, S.; Franck, P.; Orru, R.V.A. ; Maes, B.U.W. “Amine Activation: Synthesis of N-(Hetero)arylamides from Isothioureas and Carboxylic Acids“, Org. Lett. 2016, 18, 4602-4605.
van der Heijden, G.; Kraakman, J.; Biemolt, J.; Ruijter, E.; Orru, R.V.A. “Metal-Free One-Pot α-Carboxylation of Primary Alcohols”, Org. Biomol. Chem. 2016, 14, 9716-9719. Cioc, R.C. ; Schuckman, P.; Preschel, H.D. ; Vlaar, T.; Ruijter, E.; Orru, R.V.A. “Brønsted Acid-Catalyzed Cyanotritylation of Aldehydes by Trityl Isocyanide”, Org. Lett. 2016, 18, 3562-3565. Mampuys, P.; Zhu, Y.; Sergeyev, S.; Ruijter, E.; Orru, R.V.A. ; Van Doorslaer, S.; Maes, B.U.W. “Iodide-Catalyzed Synthesis of Secondary Thiocarbamates from Isocyanides and Thiosulfonates”, Org. Lett. 2016, 18, 2808-2811. Cioc, R.C. ; Preschel, H.D. ; van der Heijden, G.; Ruijter, E.; Orru, R.V.A. “Trityl Isocyanide as a Mechanistic Probe in Multicomponent Chemistry: Walking the Line between Ugi- and Strecker-type Reactions”, Chem. Eur. J. 2016, 22, 7837-7842. Zhu, F.X. ; Li, Y.H. ; Wang, Z.C. ; Orru, R.V.A. ; Maes, B.U.W. ; Wu, X.F. “Palladium-Catalyzed Construction of Amidines from Arylboronic Acids under Oxidative Conditions” Chem. Eur. J. 2016, 22, 7743-7746.
de Graaff, C.; Oppelaar, B.; Péruch, O.; VandeVelde, C.M.L. ; Bechi, B.; Turner, N.J.; Ruijter, E.; Orru, R.V.A. 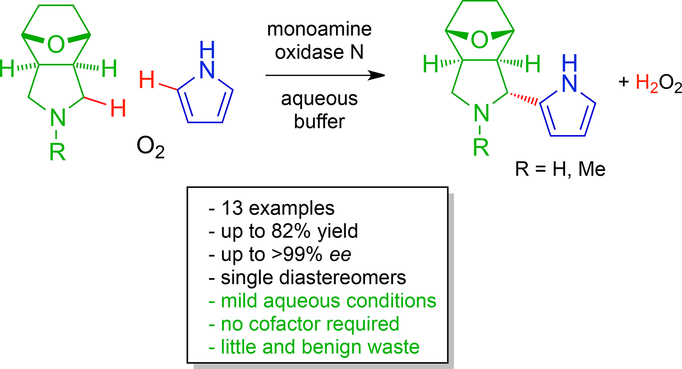 “Stereoselective Monoamine Oxidase-Catalyzed Oxidative Aza-Friedel–Crafts Reactions of meso-Pyrrolidines in Aqueous Buffer”, Adv. Synth. Catal. 2016, 358, 1555-1560.
van den Bosch, B.; Rombouts, J.A. ; Orru, R.V.A. ; Reek, J.N.H. ; Detz, R.J. “Nickel-Based Dye-Sensitized Photocathode: Towards Proton Reduction Using a Molecular Nickel Catalyst and an Organic Dye” ChemCatChem 2016, 8, 1392-1398.
van der Heijden, G.; Jong, J.A.W. ; Ruijter, E.; Orru R.V.A. “2-Bromo-6-isocyanopyridine as a Universal Convertible Isocyanide for Multicomponent Chemistry” Org. Lett. 2016, 18, 984-987.